The recipe has gone around the world with me. 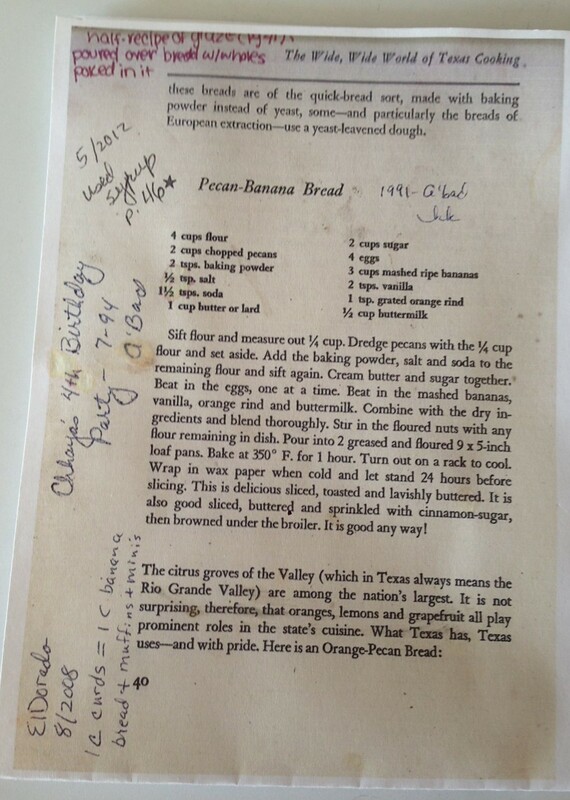 As I pulled it out today to make my “Texas” banana bread, I took a minute to read the notes I’d jotted down over the years. It looks like I first made it in 1991 when I was newly married and living in Ahmedabad, India. Another note shows that I made it for my daughter’s 4th birthday party in July of 1994, still in Ahmedabad. In 2008 I’m divorced and back in Kansas, still using this recipe. At some point, my daughter started adding her notes to the recipe as she began baking. She was the first to add a lemon glaze to the bread. I see that I substituted 1 cup of dahi or curds (plain yogurt) for some of the bananas when I was short on bananas one time. The recipe is from a cookbook my aunt gave me for Christmas back in 1978, when I was living in Wichita, Kansas, and she was a new Texan. 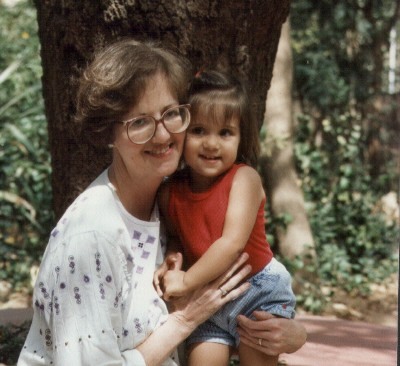 She was working as a typesetter in Austin and The Wide, Wide World of Texas Cooking is one of the books she worked on. When I moved to India to marry, it was one of the few books I packed to take with me. It was my go-to book when I was homesick for American food. 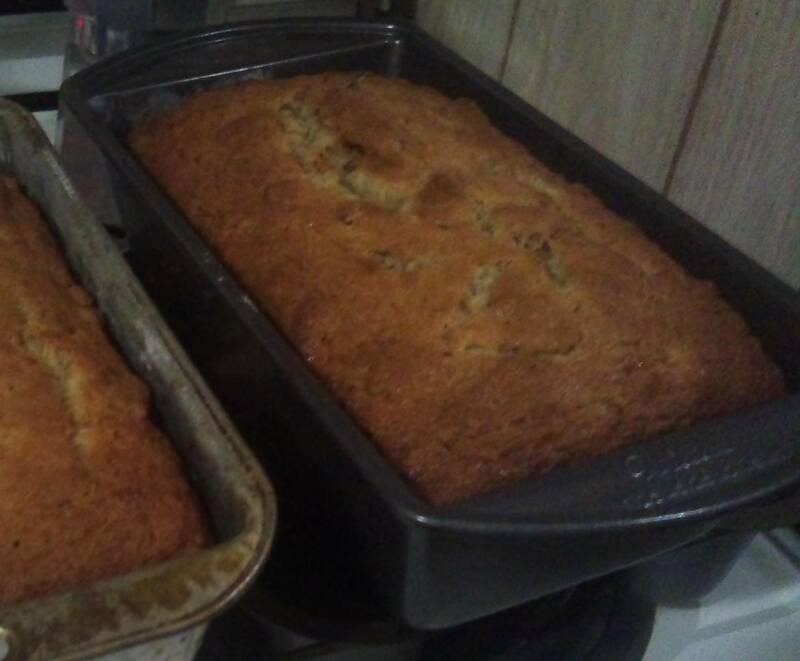 Recipe for Pecan-Banana Bread. Yes, the notes on the recipe do evoke memories. To follow Karen’s adventures in Kentucky, check out her blog, Kentucky Day Trips.